A few months ago I visited the World Trade Center site in Lower Manhattan. My wife and I toured the National September 11 Memorial and Museum, somberly reliving that horrible day through exhibits, audio, video, and artifacts. The museum is largely underground, a cavernous tomb-like space paying tribute to the many lives crushed underneath the Ground Zero rubble. Above ground the museum’s entrance has a deconstructivist aesthetic, mimicking a partially collapsed building. On either side are the two footprints of the fallen towers, now sunken fountains as part of Michael Arad and Peter Walker’s beautiful memorial design concept, called “Reflecting Absence.” These pools capture a melancholy beauty: healing and haunting in what they reveal and conceal, as the waters rush into a central drainage abyss, a dark square space of which we cannot see the bottom. Artist and author Makoto Fujimura lived near the Twin Towers on September 11, and the trauma of that day has informed his art-making and theological explorations ever since (see his 2009 book Refractions: A Journey of Faith, Art, and Culture, for example). Central to his thinking is the notion that beauty and brokenness aren’t opposites but, like the September 11 Memorial site today, are often necessarily simultaneous, symbiotic. Silence is beautiful and beauty is silent. 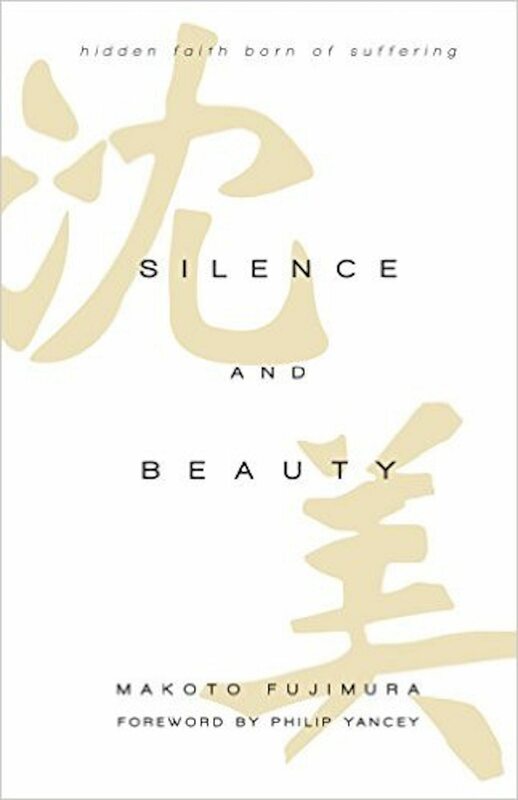 This is the theme Fujimura picks up in his latest project, Silence and Beauty: Hidden Faith Born of Suffering, a “book about a book” that reflects on Shusaku Endo’s (1923–1996) classic post-war novel Silence through the lenses of faith, art, suffering, mission, and Japanese culture. Endo’s 1966 novel about the persecution of Portuguese missionaries in 17th-century Japan has been hailed as one of the 20th-century’s finest novels, and is now being made into a film directed by Martin Scorsese and starring Liam Neeson and Andrew Garfield. Fujimura’s book serves as a timely and fascinating theological companion to Silence, but also a timeless reflection on the nature of beauty in a world of trauma, where “Ground Zeroes” (whether September 11, Hiroshima and Nagasaki, Fukushima, or one’s own personal cataclysm) are everywhere. One of the central ideas of Endo’s novel is fumi-e, a ritual of persecution instituted in the 17th-century Tokugawa shogunate, wherein suspected Christians were forced to stand on flat tablets with visages of Jesus or Mary on them (“fumi-e”) as a public way of renouncing their faith. If they refused to stand on the fumi-e, they were often jailed or tortured. IVP Books. 263 pages. $26. Fujimura meditates on the meaning of the worn-smooth images of Christ in fumi-e. He defines fumi-e culture as a culture of hidden Christianity, a culture of lament and trauma that defines Japan to this day. And yet in the trampled down, hardly recognizable face of Christ on fumi-e, there is theological resonance. These fumi-e symbols of persecution and betrayal may actually capture Christ better than any Western paintings do. Rendered beautiful in its brokenness, stepped on by generations of persecuted believers, fumi-e perfectly capture the Man who is unique in history “in that he led by giving his power away” (120). One of my favorite filmmakers is the Japanese master Yasujiro Ozu (1903–1963), whose post-war films like Late Spring (1948) and Tokyo Story (1953) are haunting in their tender depictions of family, everyday beauty, and impermanence. Ozu became famous in America in part because of critics like Calvin College graduate Paul Schrader, whose 1972 book Transcendental Style in Film highlighted the style of Ozu. Schrader noted that Ozu’s films reflect aspects of Zen art, particularly the concepts of negation, emptiness, void, and silence. These are positive elements of Zen art, however, representing presence rather than the absence of something. In the stillness and silence of shots of oceans, mountains, vases, or other banal objects, then, Ozu’s cinematic beauty approaches transcendence. I think this is a part of the Japanese aesthetic Fujimura is exploring in Silence and Beauty. Someone once told me that a difference between Western and Eastern ideas of beauty could be understood in sunsets. Westerners see a setting sun as something pretty, something comforting, whereas Easterners observe it as a thing of deep sadness, a daily reminder of impermanence. Both ways see beauty, but they understand it differently. The latter finds no tension between lament and beauty, but sees them as inextricable in a sort of yin-yang way. It’s the same reason why in traditional Japanese culture, cherry blossoms are considered most beautiful when they are falling. It’s the beauty of ephemerality. God speaks through silence. This is an idea in Silence and also one Fujimura has explored for much of his career, making nihonga (a Japanese painting style) art literally about beauty from brokenness, with layers of pulverized minerals that create unique refractions of color and light. The notions of life from death and nourishment from brokenness should be familiar and precious ideas to Christians, who see beauty in Christ on the cross and who practice a redemptive form of fumi-e regularly with communion elements made from trampled wheat (bread) and trampled grapes (wine). Yet as much as the suffering and silence and brokenness of our world can be a paradoxical way of hearing from God, we must also be careful to not fetishize suffering. There is a tendency among many Christians today to wallow in brokenness and overemphasize suffering as a way to meet with God. Many bleak films and nihilistic works of art and culture can be justified and praised through this lens. But can we go too far in celebrating the “authenticity” of darkness and the resonant experience of suffering? I think so. Silence can indeed be beautiful, instructive, enlightening. These truths have not been sufficiently emphasized in Western Christianity. As Fujimura notes in the latter chapters of the book, the “silence and beauty” paradigm must especially be present in mission efforts in the “Christ-hidden” fumi-e culture of Japan. But we must not stop there. Suffering, silence, mystery, and hiddenness are important aspects of the Christian story, but not the only ones. The gospel is fundamentally good news, after all. The resurrection frames Christianity as a paradigm of hope. The cross and the empty tomb, like the “reflecting absence,” imprints of the World Trade Center or the daily rhythms of a setting and rising sun, are two sides of one beautiful story. One without the other is incomplete. Silence is all the more beautiful in the context of sound, in a world where God spoke open the void: “Let there be light” (Gen. 1:3; cf. 2 Cor. 4:6).